We all know that innovation is key to success in higher education. But innovation implies change, and organizations have a tendency to resist change. It didn’t help matters when the bottom dropped out of the economy in 2008, fundamentally altering the higher-ed funding landscape. All the while, the world continues to face issues that refuse to stay confined within funding limitations or disciplinary boundaries, such as emerging diseases, increasing global food demand, the need for sustainable energy and the impact of technology on society. For universities to fulfill their missions, we must find new ways to conceptualize the problems we face—and new ways to solve them. In 2011, NC State University responded to these challenges, in part, by launching the Chancellor’s Faculty Excellence Program, an initiative to create interdisciplinary clusters of faculty focused on addressing the world’s most pressing challenges. NC State wasn’t the first to come up with the idea of hiring faculty in interdisciplinary clusters; the University of Wisconsin, Georgia State University and the University of California at Berkeley are among the institutions that already had cluster initiatives of their own. But while some cluster-hiring programs struggle to gain traction, NC State’s CFEP has succeeded across any number of measures, whether it’s hiring outstanding faculty, expanding interdisciplinary research and scholarship, or creating new interdisciplinary academic programs. 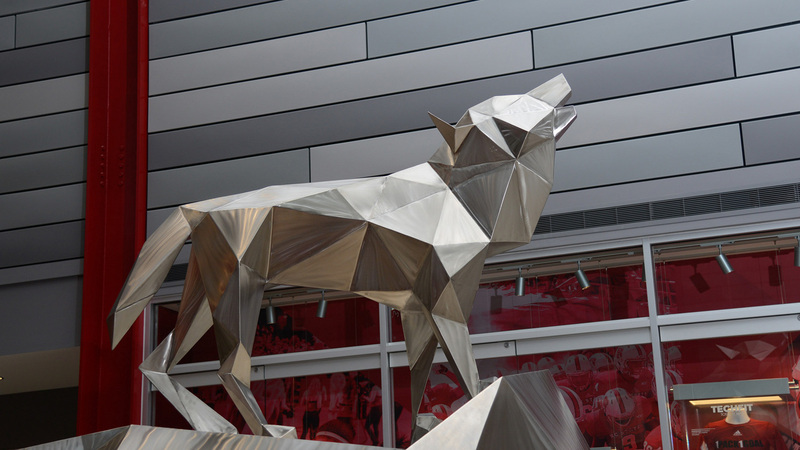 Below we explore NC State’s approach to creating and implementing a successful cluster-hiring initiative. The initiative began as an outgrowth of the university’s strategic plan. culminated in “The Pathway to the Future: NC State’s 2011-2020 Strategic Plan.” (See a summary of the plan, below left.) 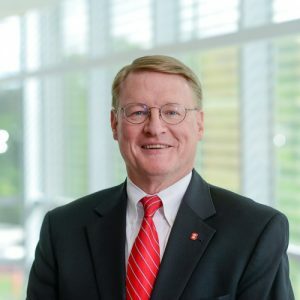 Although CFEP supports all five of the plan’s goals in one way or another, NC State’s chancellor, Randy Woodson, and executive vice chancellor and provost, Warwick Arden, intended the initiative to most directly contribute to achieving goals two (investing in faculty) and three (enhancing interdisciplinary scholarship). Top administrators say CFEP’s link to the strategic plan is one of the reasons why it’s been a success. “I’d say the most important thing about CFEP is that it was created to achieve the goals of the university’s strategic plan,” says Duane Larick, senior vice provost for academic strategy and resource management. Larick was one of those charged with overseeing the development and launch of CFEP, and he continues to be involved with the program’s implementation. “We created a strategic plan, and we’ve stuck to it. CFEP is an important part of achieving that plan, so we’ve remained dedicated to that too,” he says. 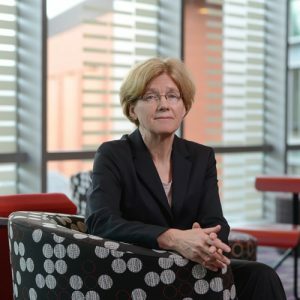 “If CFEP had just been a good idea that someone had one day, it might have been allowed to fritter away into nothing when we ran into a roadblock,” says Margery Overton, vice provost for academic strategy. The university solicited cluster proposals from faculty. The chancellor and provost asked faculty to submit proposals for interdisciplinary clusters, rather than empaneling a small group of administrators to determine what the clusters’ research priorities would be. Larick says this faculty-first approach is essential to any cluster program’s effectiveness. Starting with the faculty is key. You want to start with those faculty members’ entrepreneurial excitement about the work they’re doing. NC State’s faculty displayed entrepreneurial excitement in abundance when the new cluster-hiring program was announced. All faculty already working in a group that spanned two or more colleges were encouraged to submit pre-proposals for advancing the national prominence of their group through the hiring of three to four eminent or highly promising faculty, at any rank. From those 72 proposals, a committee selected what they felt were the 17 best proposals for implementation. The committee comprised representatives from the provost’s office; NC State’s Office of Research, Innovation and Economic Development; and each of the university’s 10 colleges. The committee combined some of the 17 finalist clusters to prevent unnecessary overlap or repetition of effort, resulting in an initial round of 12 clusters selected for funding. Since then, a second group of eight clusters has been launched. Clusters recruited their faculty, and departments hired them. It was important to give the clusters freedom to select the faculty they wanted while also keeping departments substantively involved in the process. Academic departments normally handle both recruiting and hiring of new faculty members, but the advent of CFEP required changes to that model when hiring cluster faculty. It was important to give the clusters freedom to select the faculty they wanted while also keeping departments substantively involved in the process. NC State decided to allow clusters to identify, recruit and select their hires, but all cluster faculty are hired into a department, and only with departmental approval. “It’s a different hiring process,” says Overton, “so it’s good to have someone in the provost’s office that department heads can talk to if they want to share any concerns or get more information about how it’s supposed to work. That helps alleviate any departmental anxiety.” At NC State, Overton fulfills that role. After hiring, the department remains the tenure home for all cluster faculty. Cluster hires are chosen with an eye toward diversifying the faculty. Cluster hiring brings with it the opportunity to build a more diverse faculty, both demographically and academically — but it also presents some unique challenges. At large research universities, cluster hires tend to focus on STEM fields and overlook other disciplines, counteracting the effort to create a more interdisciplinary faculty and campus. In addition, cluster positions tend to have very specific requirements, which too often results in shallow applicant pools that make it difficult to select a diverse slate of hires. To address these challenges, NC State explicitly stated that one of the goals of CFEP was to increase faculty diversity, rather than merely hoping the hired faculty would be a diverse group. Those efforts are already having an effect on the university beyond the scope of CFEP. As a result of working with CFEP’s hiring committees, NC State’s Office for Institutional Equity and Diversity has made education in unintentional bias a standard part of its search-committee training procedures. The provost’s office covered a significant portion of the program’s costs. “Having a very clear financial model ahead of time is crucial,” Overton says. At NC State, that model calls for the provost’s office to share costs with the colleges, both the one-time startup costs and the continuing costs. Larick stresses the importance of the strategic plan in driving the financial decisions that shaped CFEP. The university strove to upfit facilities and equipment ahead of time. “We’ve attracted some very successful faculty,” Larick says, “and you do that by offering a very high level of support for the work they do.” Facilities and equipment are an important part of that recruiting effort — but you can’t recruit people with physical assets you don’t yet possess. That’s one reason why CFEP has made upfitting a high priority. Faculty productivity is another reason. 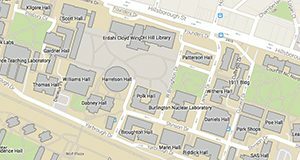 If you’re hiring a group of new faculty to undertake new lines of interdisciplinary work, each one of them will need office space, lab space, specialized equipment, room for grad students and so forth — and they’ll need it all on day one. That’s particularly important for midcareer faculty, says Overton. Cluster hires can choose to have an interdisciplinary tenure committee. “From the very beginning, we discussed how to manage RPT [reappointment, promotion and tenure] processes for interdisciplinary hires,” Overton says. If RPT decisions are usually made by a single-discipline committee within the faculty member’s tenure home department, how would that procedure accomodate the necessarily interdisciplinary nature of a cluster member’s work? Cluster hires needed to know that they weren’t dooming their careers to stagnation by entering an interdisciplinary cluster. The university updated the policy to include more specific appointment and RPT procedures for faculty hired in interdisciplinary positions. Now the cluster hires have interdisciplinary tenure committees who can fairly judge the work they do. The provost’s office provides crucial administrative support. CFEP’s clusters started with the faculty proposing a wide array of excellent ideas for interdisciplinary research and scholarship, but those ideas won’t get far without high-level administrative engagement, oversight and support. At NC State, that support comes from Larick and Overton in the provost’s office. The cluster program needs someone involved who can make funding happen, make space happen, make engagement happen. Since its 2011 launch, CFEP has been an across-the-board success. The program has hired over 60 faculty across all 10 of its colleges, with more yet to come. The first 12 clusters were so successful that a second group of eight clusters was launched in 2015. New graduate-level degrees have been created or are being proposed in four of the clusters. New interdisciplinary centers have been created to extend the work of the clusters. The culture of interdisciplinarity has begun to permeate NC State’s colleges, too, which are beginning to make more interdisciplinary hires outside the clusters. “When you successfully launch and sustain an interdisciplinary cluster-hiring program, the effects ripple out beyond the program,” Larick says.